A cpo file extension is related to the Corel Print House and used for its data files. The cpo file extension is associated with the Corel Print House a desktop publishing application for Microsoft Windows. The *.cpo file contains data used by Corel Print House. 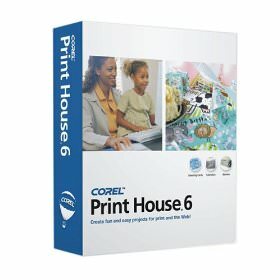 The Corel Print House is obsolete product without support from Corel. This cpo file type entry was marked as obsolete and no longer supported file format. Corel Print House is used to create graphics projects. Corel Print House is complete home-publishing package for designing scrapbooks, greeting cards, calendars, banners, paper toys, stationary, T-shirts, party theme sets- and lots more. It is discontinued product. Click on the software link for more information about Corel Print House. Corel Print House uses cpo file type for its internal purposes and/or also by different way than common edit or open file actions (eg. to install/execute/support an application itself, to store application or user data, configure program etc. ).